“The increasing quantity of watermelons imported from Myanmar by Chinese merchants provides great opportunities for both countries and we’ll definitely benefit from this,” said Liu Hongfang at a recent interview. Liu is the manager of a company in Wanding in west Yunnan’s Dehong Prefecture. Her company is one of the sponsors of a trade forum held on Aug. 10, and the forum focused on promoting the export of Myanmar fruits. 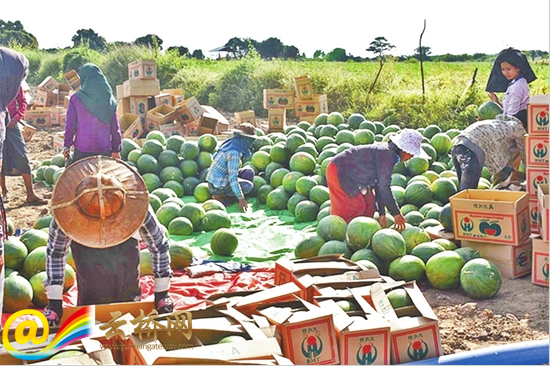 Located near the China-Myanmar border, the Wanding town sees greengrocers from across China gather annually from October to the following May, bargaining with merchants from Myanmar over prices of melons and fruits. Later, these Myanmar fruits enter China through the Wanding port and they are further transported to numerous markets around China. Liu said that when China is in winter, the climate in Myanmar is suitable to grow watermelons. Therefore, the watermelon from Myanmar is an out-of-season fruit popular among Chinese consumers. Statistics show the Myanmar melon accounts for 80% of all out-season watermelons in the Chinese market. “I choose Myanmar watermelons as they are scientifically taken care of and are all purely natural,” said Ms. Yang, a consumer. 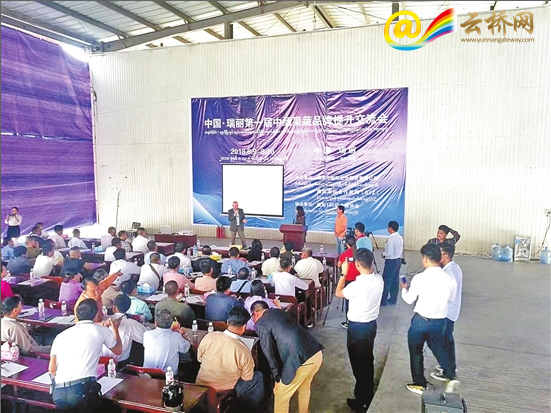 Another staff from Liu Hongfang’s company added they brought scientific cultivation methods to farmers in Myanmar, and it is a way to ensure the quality of fruits, lower the costs and increase farmers’ income at the same time. Moreover, the company has uploaded on line the growing and picking steps. Scanning a QR code, consumers can access the information and trace back the “history” of the watermelon. “Although watermelons can be stored for a relatively long time, the convenient customs clearance is also the key to ensure their tastes,” said Ms. Feng, head of an import and export company in Wanding. She noted that it took only an hour to receive the watermelons from Myanmar to her store. Most watermelons from Myanmar are exempted from customs inspection. For those that need to be inspected, the whole procedure will be finished within two hours. In fact, the watermelon import is only an example of the increasing trade between China and Myanmar. As the gateway to enter the broad market in China, Yunnan plays an important role in Sino-Myanmar trade. 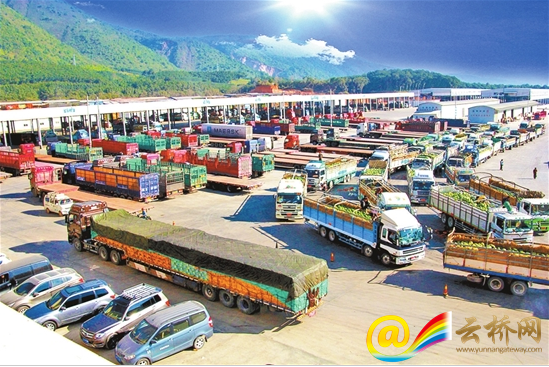 In 2017, the trade volume between Yunnan and Myanmar has reached 63 billion U.S. dollars and up to July this year, the value has exceeded 39 billion U.S. dollars. At the 5th China-South Asia Expo in June, 2018, Myanmar was invited as The Guest of Honor. 74 booths were designated to Myanmar merchants this year, products from Myanmar were favored by Chinese consumers. In the first expo, only 30 booths were set up. Besides physical stores, more and more Chinese are buying Myanmar goods via e-commerce platforms, where well-sold Myanmar produces are honey, Termite Mushroom, ancient tea, milk tea and others.